Ample coverage in the main Italian newspapers and specialist international magazines. Live video from the booth at Eureka Park, interviews for radio and television programmes, and in-depth reports in scientific publications. And that’s not all: compliments from the Italian ambassador to the USA Armando Varricchio, and a daily video-diary which told the story of the CES day by day, from the point of view of the people who experienced this adventure first hand. Judging by the resonance in the media, for e-Novia the CES, which this year took place from the 8th to the 11th of January, was a great success. 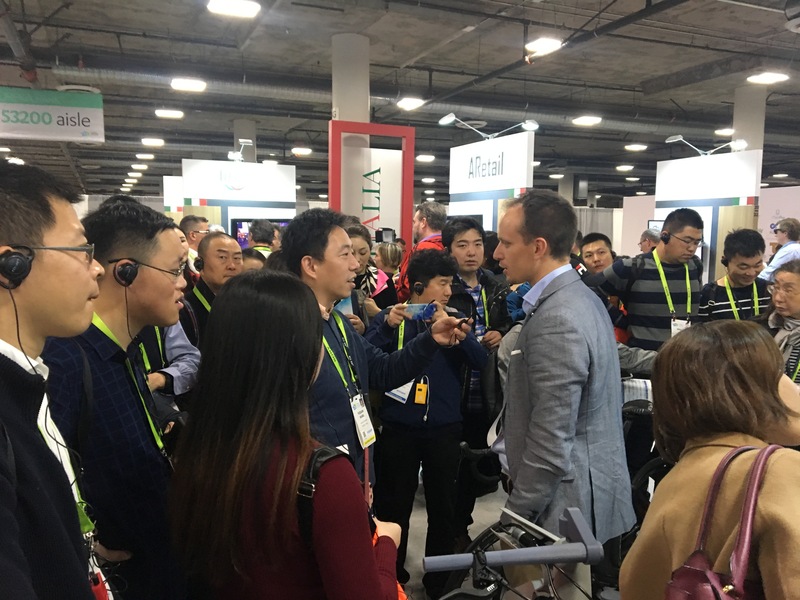 Huge visibility in the worldwide media, but above all excellent business opportunities for the 8 innovative products which represented the Enterprises Factory at the Consumer Electronics Show in Las Vegas: from Yape, Weart, Blubrake, and Stem, to BluAgro, e-Shock, AirSelfie and Springa. “E-Novia ushered in 2019 in the best possible way, by taking part with as many as 8 companies in the CES, the biggest event in the world in the field of artificial intelligence, new technologies and mobility, of which 6 companies were in the Italian delegation, supported by the Ministry of Industry and Economic Development and the Italian Trade Agency. The CES offered an excellent platform from which to observe the world of innovation, new visions, projects, and the relationships of e-Novia and the companies it is involved in” commented Vincenzo Russi, the CEO of e-Novia. “We introduced our products to a vast worldwide audience, and we saw their potential first-hand, and we also realised how important our country could be on the global scene if we managed to rise to the challenge of changing from being consumers to providers, from being importers to exporters of high technology” reiterated Ivo Boniolo, Cio and co-founder of e-Novia. A challenge that the eight Italian companies belonging to e-Novia have shown themselves able to take on, on a level playing field with other countries, and one that international observers (from the USA, to India, France, China and Britain) have highlighted through dozens of articles and reports from Las Vegas.